Best-selling author Bill Treasurer is donating some of his "Leaders Open Doors" profits in support of Gandee brothers Hunter and Braden. He will present a check to the brothers on Wednesday, October 29, at Douglas Road Elementary School. I have always intended for the royalties from ‘Leaders Open Doors’ to go to programs that support children with special needs, and I had to step up when I heard about their walk. 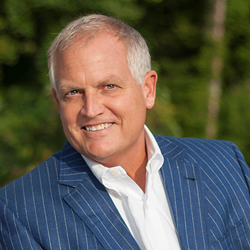 Best-selling author Bill Treasurer, author of recently released “Leaders Open Doors” (ASTD Press, 2014) announced today that he will be donating some of the book’s profits in support of Braden and Hunter Gandee. The Gandee brothers gained worldwide attention in June for their Cerebral Palsy Swagger, where older brother Hunter, 14, carried younger brother Braden, 8, from Temperance, Michigan, to the University of Michigan in Ann Arbor, on a two-day walk to raise awareness for cerebral palsy. Hunter Gandee said he was happy to piggyback Braden, who has had the disease since birth, on the trek. "Every day of his life so far has been harder than any single day of mine,” he says. Since the walk, the brothers have thrown out first pitches at a Detroit Tigers and a Toledo Mud Hens game. Recently, they have also started to raise money to build a handicapped-accessible playground at Braden’s school. Treasurer also personally connects with Braden’s story, since his own 9-year old daughter has cerebral palsy. Bill will be presenting a check to the Gandees on Wednesday, October 29, at Douglas Road Elementary School. He also plans to recognize them on Thursday, October 30, at a special session following his keynote address at the University of Michigan's 2014 Management Conference. Bill Treasurer, founder and Chief Encouragement Officer of Giant Leap Consulting (http://www.giantleapconsulting.com) is the author of Leaders Open Doors, which focuses on how leaders create growth through opportunity. The book recently became the #1 leadership training book on Amazon. Bill is also the author of Courage Goes to Work, an international bestselling book that introduces the concept of courage-building, and Courageous Leadership: A Program for Using Courage to Transform the Workplace, an off-the-shelf training toolkit that organizations can use to build workplace courage. Bill has led courage-building workshops for, among others, NASA, Accenture, CNN, PNC Bank, SPANX, Hugo Boss, Saks Fifth Avenue, and the US Department of Veterans Affairs.